Trials conducted during the construction of the North Norwich Distributor Road showed an increase in efficiency of 250% by using SidewinderUK® plant, as against conventional methods. Surface water drainage is an essential element for any highway construction project. Whether the solution is a swale, stone V channel, asphalt V channel or a filter drain, Sidewinder® has been providing an efficient construction solution nationwide for decades. 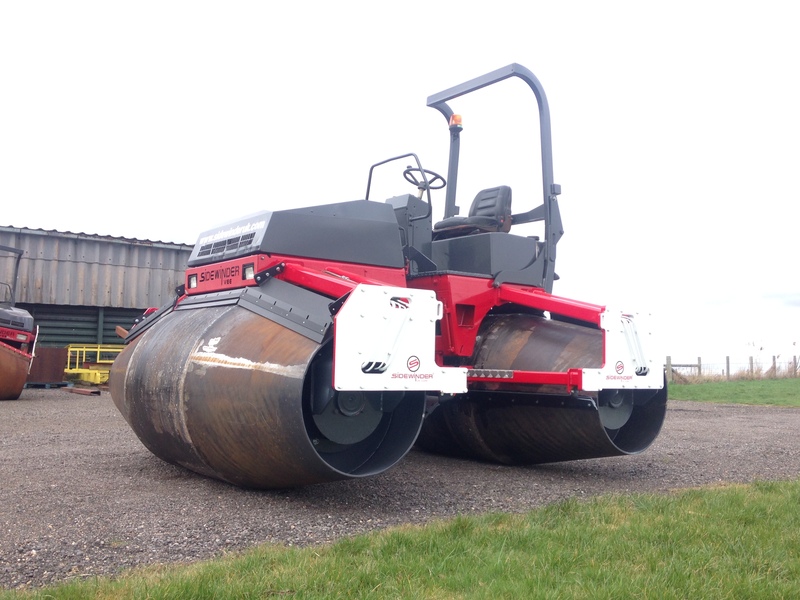 Sidewinder® offset paver is a unique plant able to lay any granular material to either side of an existing carriageway. Baseline measures conducted on the Balfour Beatty Norfolk project showed that 100 linear metres of swale could be completed in a day using conventional methods. Working with Sidewinder® plant, it was possible to lay 350 linear metres in a day – an impressive increase of 250%. Richard Haley, Technical Manager at SidewinderUK®, said “We are always happy to go the extra mile, and, in this case, we had to make alterations to our equipment in order to meet the high expectations of the Balfour Beatty team. Because we’re a small team, we were able to take decisions and act quickly to meet tight deadlines”. “During this project”, Richard continued, “we offered unique solutions which involved manufacturing a completely new screed, the manufacture and trial of an extended auger, manufacture of an extension conveyor as well as creating a bespoke trapezoidal roller for the project”. The research was carried out by section engineer Alexandros Charalampakis, who was managing the project for Balfour Beatty. Read or download the full case study here. Read our other Case Studies here.